 Be among the first owners of the all-new Yamaha Tenere 700 at a discount! Back in November, we learned the highly-anticipated Tenere 700 would become available as a 2019 model (in Europe only) with just a rough delivery date and no pricing. 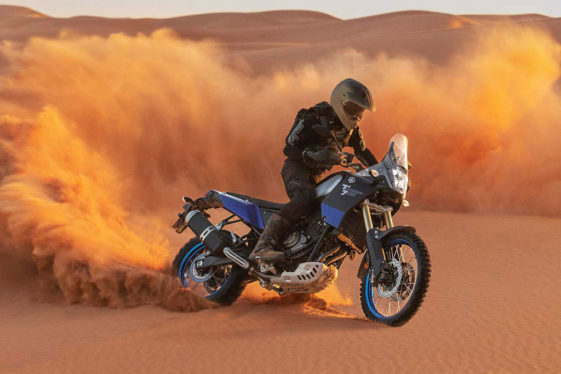 Today Yamaha Motor Europe has more news about their all-new adventure bike — confirming details about pricing, priority ordering and delivery dates. After a long, drawn-out wait, Christmas is almost here for fans of the rally bike-inspired machine. On March 27th 2019 at 14:00 CET, Yamaha will launch an Online Ordering System for Europe. 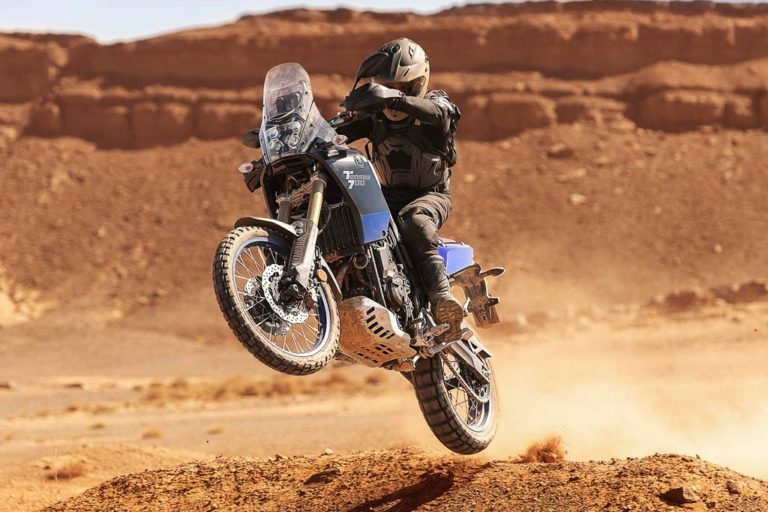 The first deliveries of the Tenere 700 planned in July of 2019 will be allocated to customers who order online on a first-come first-served basis. Those who order online will also receive a special discounted price of €9,299 (£8399) for the standard model. This price is exclusively for online orders and applies until the online system closes on July 31st 2019. The Online Ordering System will enable customers to confirm their order for a variety of Tenere 700 options, which will be available in the full power specification and in a restricted 47 horsepower (35kW) version. Both versions will be available in three colors: Ceramic Ice, Competition White or Power Black. After supplying the initial batch of online orders, Yamaha will commence delivery of the Tenere 700 to dealerships across Europe from September 2019 at the standard price of €9,699 (£8699). No information about an early ordering system has been given for the U.S. at this time. Due to differing government regulatory standards and factory production line schedules, the Tenere 700 is scheduled to arrive at U.S. dealerships a year later in the second half of 2020. And while Europe receives three color options, so far, it seems Ceramic Ice will be the only color available for the U.S. market. 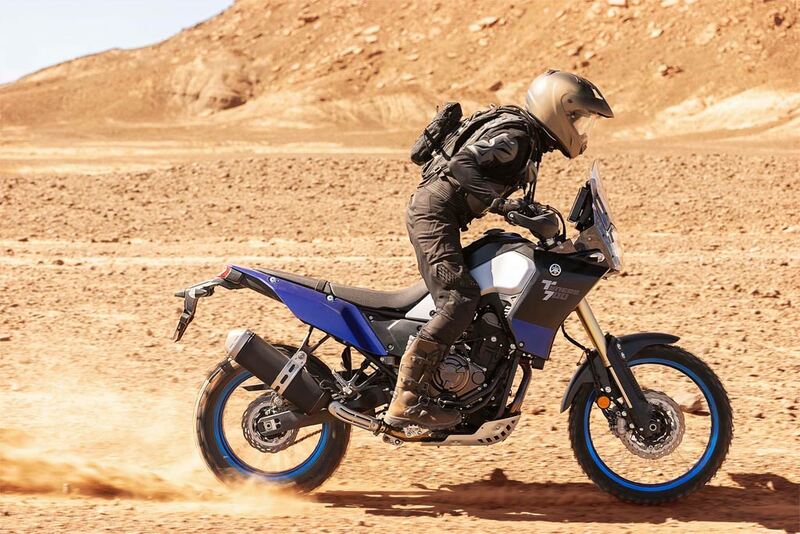 To further optimize the versatility and look, Yamaha will release a wide range of Genuine Accessories for the Tenere 700. The line-up will include luggage options and several other items to enable riders to travel further in comfort and convenience. Yamaha will also offer several rally-oriented items to further sharpen the bike’s off-road capability. For more details and specs go here.  Specs and Availability Released for Much-Anticipated Tenere 700! My 1290 weighs less than this bike. I have done some modifications but jeeeez Yamaha! That’s funny…is this Jerry Seinfeld!???? That’s why you pay so much for the 1290. Still way lighter than the AT. Weight seems about right to me. Quit yr whining. 452 lbs makes a nice boat anchor. Way too heavy! 1 cylinder, 750cc 5 valves 310 lbs or less! Would sell like hot cakes..try more aluminum (frame- XR650R=24lbs bare!) and more titanium. Worth the cost and weight reduction. Practically lived on TT500 XT500 XT550 XT600 XR500R XR600R XR650R please Yamaha! Light bike, big motor, big brakes!! “Be Among the First Tenere 700 Owners” two years from now. Just in a few months in Europe. Very cool! I am totally hooked on thumpers, one cylinder bikes for me only. But this piece I will take for a test ride as soon as it is available in Germany. Only ugly thing: The color design of all three is ugly. To test ride or even touch one you are very fortunate ! The comments are pretty stupid, not even the BMW GS700 weighs less than 450 lb wet weight. What dream world are you living in??? KTM690 weighs 322lbs., it can be done. Blue Baconer! 50 lb overweight at least! I’ll pass. Less hp and 7 lbs lighter than the Moto Guzzi V85. Guzzi’s are EASY to work on as well. All at about the same price, similarly equipped. I will still wait for the shootout against the KTM 790 in the fall/winter. Perhaps at $3000ish less than the KTM and functionally turning out to be an excellent bike, still may opt for this one. That KTM is awful tempting though but at 450 lbs. for either, sure will miss the 340 lb. of my lightened DR650. Has anyone ridden one yet? Who doesn’t want to get on an 18 month waiting list? A few kilos lighter than my xtz 750 but comes with more oomph! If Yamaha had of Intro’d this online deal in North America six months ago there wouldn’t be any extra units left for the European market! They missed their calling on this one – most yami enthusiasts have moved on! At age 64 patience is just not found in hospitals but in this case one has to call a spade a spade and move on. Saddle up on a KTM 790 and ride off into the BC outback sunset. PS – Yamaha you had better sharpen up that pencil after your European online pricing debut ! The millennials have the money to go play but they want do it tomorrow not in 562 tomorrows! Yamaha’s 700 has been the most botched new vehicle development we’ve seen in decades. By the time it’s finally out most interested riders will have long since bought something else and ridden off.